This is a wooden carded earring display rack. The tiered design allows for many items to be placed on one display. It also makes it easy to organize the displayed items. The solid baltic birch wood construction makes for a stable and durable earring display rack. 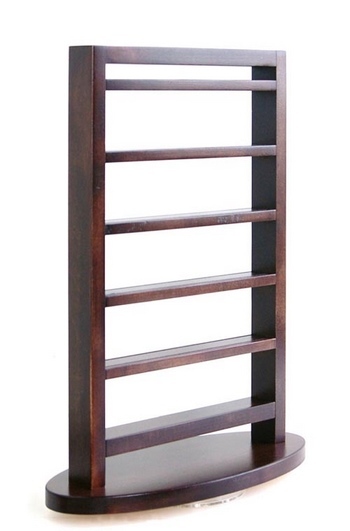 This wooden carded earring display rack features a rotating base for easy browsing. The display rack is accessible from both sides. We also build custom wooden carded earring display rack if this design does not fit your requirements exactly.